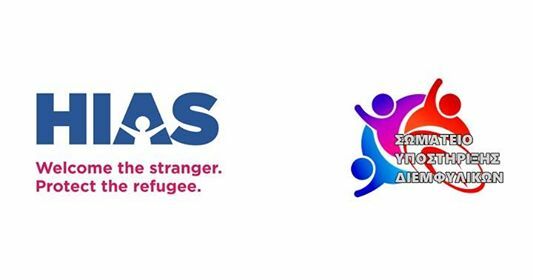 PRESS RELEASE HIAS GREECE – GTSA: «Change of name, gender registration and progressive interpretation of the adaptation of the surname of a refugee trans woman». HIAS Greece, a non-governmental organization that offers legal aid to refugees and asylum-seekers, and the Greek Transgender Support Association, a non-governmental voluntary organization for the rights of trans persons, are particularly pleased to announce a decision of the County Court of Mytilene, on the change of name, gender registration and progressive interpretation of the adaptation of the surname of a refugee trans woman. Specifically, with decision 136/2018, which became final on Tuesday 19 February 2019, the County Court of Mytilene proceeded to a change in the registered gender of a trans woman as well as her full name, for a refugee recognized by the Regional Asylum Office of Mytilene (thus confirming the case law of the Thessaloniki Magistrates Court 444E/2018). Furthermore , by correctly applying the procedure of no. 4, par. 1 of the law, the Court confirmed to correct the name and gender, and in addition adapted in extensive measure the surname on the Residence Permit issues by the Asylum Service and on her Passport (Travel Document)issued by the Hellenic Police. This ensures that the gender identity of the refugee fully corresponds with her formal identification in the documents and avoids confusion in her daily transactions. It is recalled that the procedure of Article 4, par. 1 of Law 4487/2017 on the legal recognition of gender identity concerns all three basic elements of customization of the individual without any derogation with regards to the status of thetrans person (Greek citizen or foreigner): the change of the registered gender, the main name and the surname adaptation. On the contrary, it should be noted that the County Court of Athens in another relevant case that it examined, changed the registration of the gender and the name of a Greek citizen trans woman, but did not accept to change her surname. This is an unequal treatment and discrimination to be taken into account by the legislator in a possible future amendment to Law 4491/2017 on the possibility of changing the surname of a trans persons, since for some transpersons it is vital to dissociate with their earlier lives, so that both gender and full name – as one- truly adapt with their gender identity. The case was supported by the NGO HIAS Greece, with the ongoing support of the Greek Transgender Support Association. ~ από Σωματείο Υποστήριξης Διεμφυλικών στο Φεβρουαρίου 21, 2019. This entry was posted on Φεβρουαρίου 21, 2019 at 10:13 πμ and is filed under Uncategorized.You can follow any responses to this entry through the RSS 2.0 feed.Both comments and pings are currently closed. Previous: ΔΕΛΤΙΟ ΤΥΠΟΥ HIAS Ελλάδας – ΣΥΔ: «Μεταβολή κυρίου ονόματος, καταχώρισης φύλου και διασταλτική ερμηνεία προσαρμογής επωνύμου τρανς γυναίκας πρόσφυγος». Next: ΚΟΙΝΟ ΔΕΛΤΙΟ ΤΥΠΟΥ ΛΟΑΤΚΙ ΟΡΓΑΝΩΣΕΩΝ: «Η εγκληματική επίθεση στα γραφεία της Θετικής Φωνής αποτελεί επίθεση εναντίον της ΛΟΑΤΚΙ κοινότητας, αλλά και των δημοκρατικών ελευθεριών και δικαιωμάτων συνολικά».